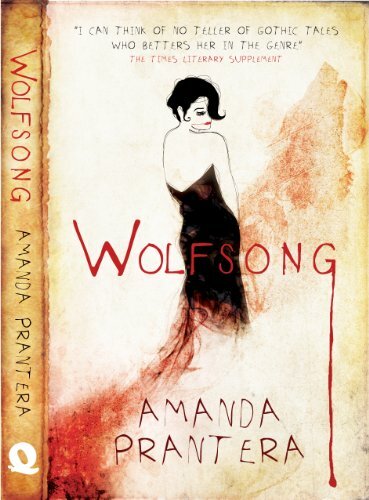 First off, a huge thank you to Anna at Quartet Books for sending me a copy of Wolfsong to review. It’s completely different to any other werewolf-y novels you may have read recently – it’s not YA and possesses a completely unique, beautiful prose. It’s released in the UK on 26th January 2012 and I really recommend pre-ordering a copy with any Christmas book vouchers. When nineteen-year-old Sarah receives an invitation to a society ball from a notorious aristocratic socialite, she assumes there must have been some mistake. What could Nico, the belle of swinging sixties London, want with Sarah, a trainee secretary with a chequered past? Yet Nico has sniffed Sarah out for a reason. Like Nico herself, Sarah is not-quite human – she is a wolf and a woman trapped in the same body. Bound together by their shared fate the two girls descend together into a dream-world of louche parties, country estates, Italian noblemen and increasingly animalistic instincts… But there are choices to be made. And when Nico disappears one freezing winter, Sarah is left to make the final decision on her own. The mysterious blurb doesn’t really give you all that information about the plot of Wolfsong but that seems to almost work in its favour. It’s a short book and so the majority is given over to the life and society of Nico and Sarah – the fact that they’re werewolves seems almost incidental. It’s only approaching the end that the implications and hardships are shown and it’s a shock when they are. I was completely blown away because I just didn’t see it coming. Just to re-emphasise – this isn’t Young Adult. It’s one of those rare books that manage to take a topic that’s usually dealt with on a lighter note, and turn it into a mature, literary masterpiece. The prose is beautiful – both the descriptions of the many soirées attended and those of the Italian countryside are stunning and create a sleek, dark atmosphere. It’s not a long book and it’s not a particularly fast-paced one either, but the growing relationships and settings pull the reader in and hold them past. By the time, the plot started to thicken, I was already hooked.